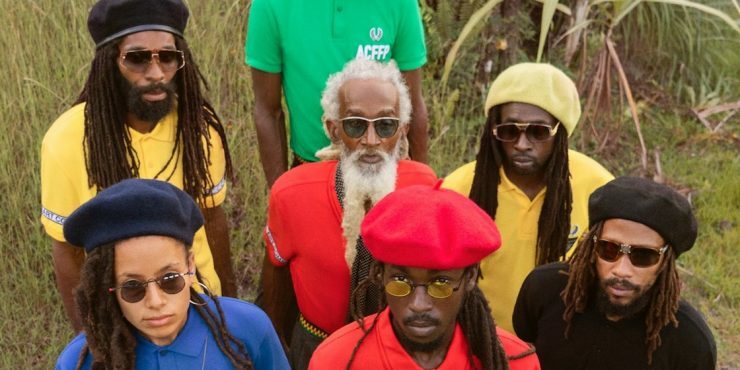 Fred Perry teams with Art Comes First (ACF) for a limited edition collection with Jamaica-inspired hues. 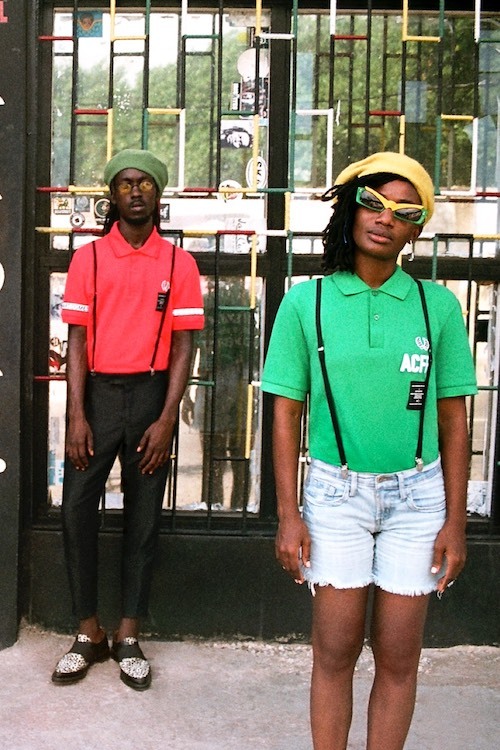 Recalling the Rudeboy music that ACF's Sam Lambert and Shaka Maidoh of ACF grew up on, the duo adapted the original M12 Twin Tipped Fred Perry Shirt for the collection. One, an embroidered Fred Perry Shirt that comes in black, regal-blue and island-green. The backs are printed with a chest-beating statement: 'FRED PERRY M12 CUSTOM-MADE WITH ART COMES FIRST'. Two, a taped pique shirt with sleeves trimmed with branded track tape and the designers' original patch stitched below the Laurel Wreath. It comes in black, fire-red and chrome-yellow; hues taken from Sam and Shaka's favourite record sleeves. They are undeniably the totems of ska, reggae and rocksteady music. An added feature: any purchased shirt is packaged in one of four record sleeves, designed exclusively for the collection. It would be terrible to play on a record player but you'll look good wearing them. Speaking of records, Fred Perry is the proud supporter of Record Store Day happening later (13 April). To commemorate the fine art of vinyl collecting and independent music stores, the company created limited edition record totes, available at your record stores island-wide. Fred Perry x Art Comes First collection retails from SGD229 and is available at Fred Perry Jewel.